Rev. 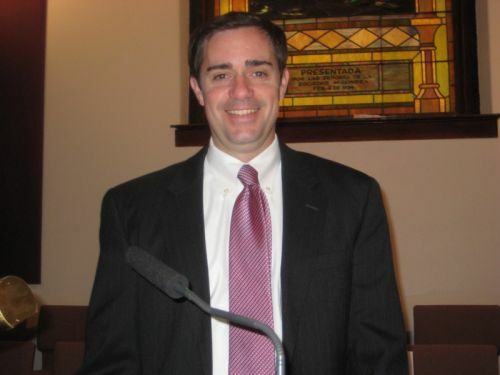 Dr. Robert Woodruff was ordained in August, 2002 by the Presbytery of Plains and Peaks in Colorado. He received his Master of Divinity degree from Princeton Theological Seminary and subsequently served as a Presbyterian Church (USA) Young Adult Volunteer in Quetzaltenango, Guatemala. Pastor Rob also interned at Diaconia, the national service organization of the Guatemalan Presbyterian Church. Before coming to Second Presbyterian Church, Pastor Rob was a Lilly Resident Minister at First Presbyterian Church of Ann Arbor, Michigan. In 2012, he received his Doctorate of Ministry degree from Columbia Theological Seminary in Decatur, Georgia. Pastor Rob is a person who knows how to listen with compassion to people of all ages. It’s official, Kay Huggins, is retired. Although she has stumbled over her Honorably Retired status for over a decade -- serving as Interim and stated supply pastor in New Mexico and most recently in the Washington DC Metro area -- her home is once again in New Mexico. Kay was ordained December 11, 1977. Her interests have been deep and broad, but usually involving teaching and preaching, mission and justice, younger and older adults. She hopes retirement will be filled with similar opportunities conducted at a slower pace and with an emphasis on simplicity. Kay was the organizing Pastor of Rio Rancho PC (RRPC), which was chartered in 1986. In November, 2017, the RRPC congregation elected her to be Pastor Emerita of that congregation.